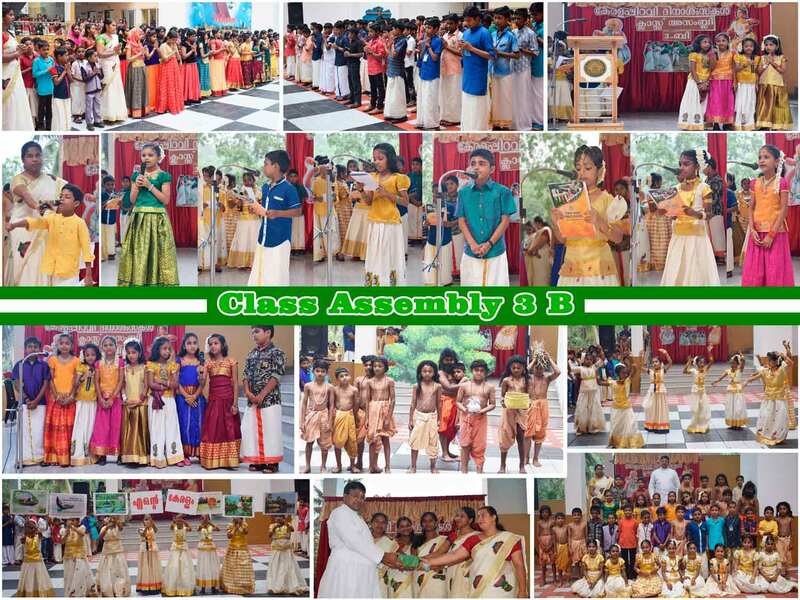 On 15th August the school launched the Charity drive programme CASA 2018,( Christy Amor for Social Awareness). 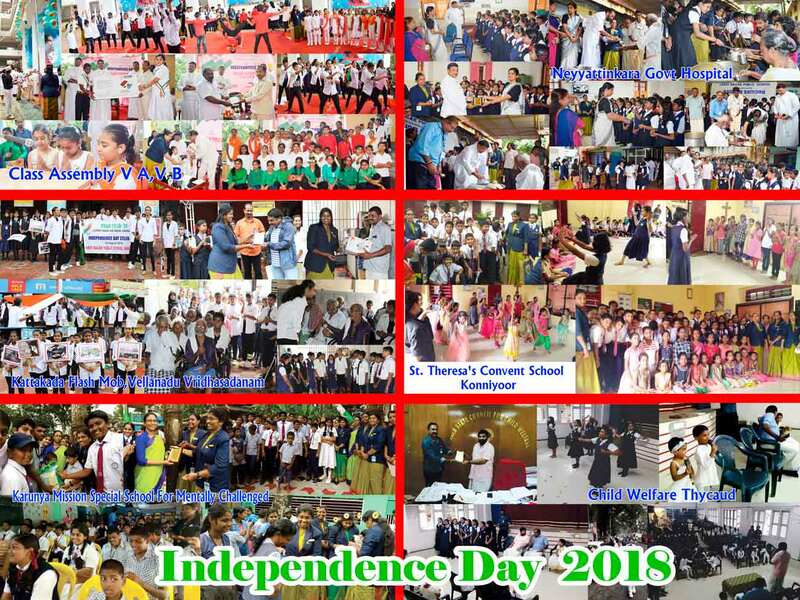 As part of the social activities, the students and the staff took initiatives in conducting a good number of charity programmes on August 15. During the visits to some of the orphanages and special schools, the students interacted and spent time with the underprivileged learning the most important value of giving and sharing. The students collected so many Grocery and Stationery items and distributed them in all the centres. 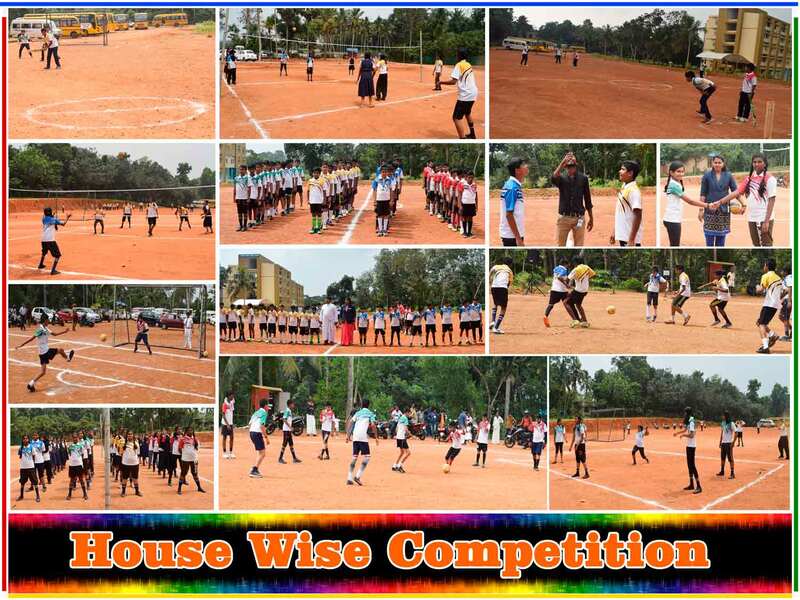 The charity programmes include: 1. Distribution of lunch at Govt General Hospital, Neyyattinkara by class V. 2. Visit to Little Flower Home for handicapped, Karunalayamconvent, Maranalloor by class VI A. 3. 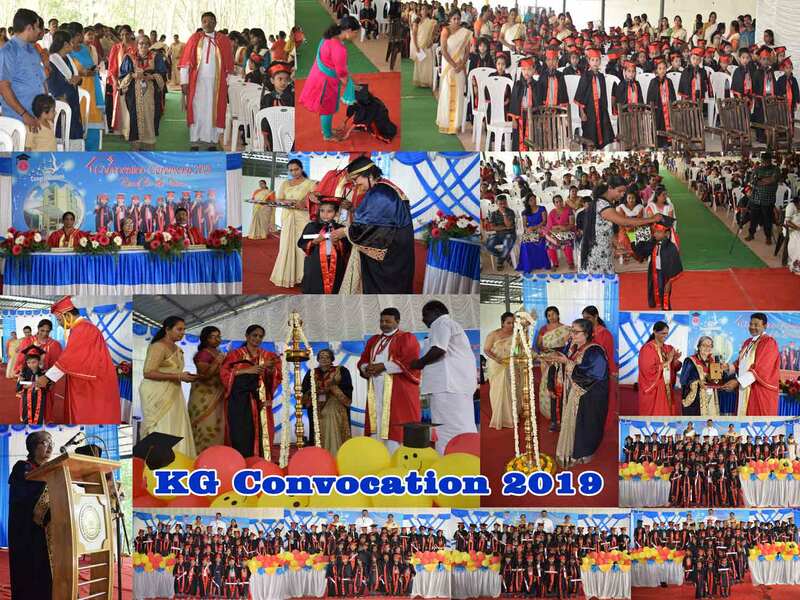 Visit to St.Theresa’s Convent, Konniyoor by class VI B. 4. 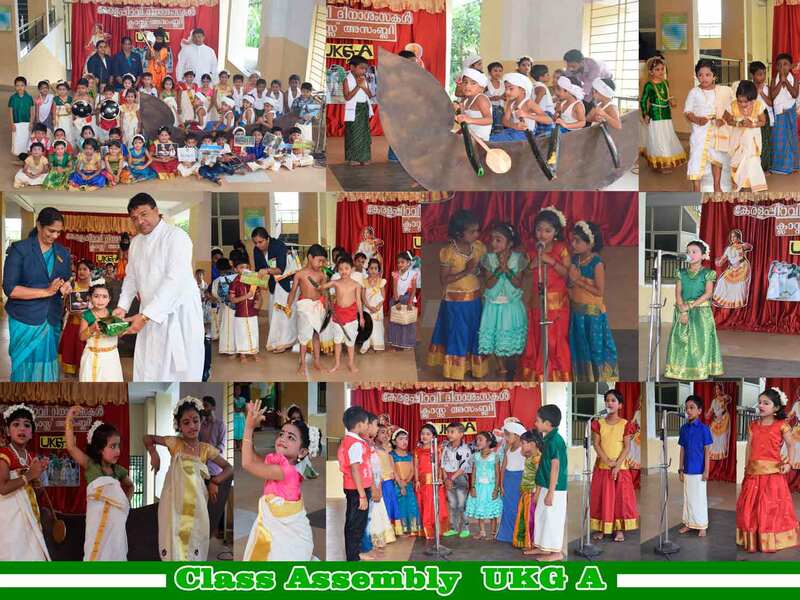 Visit to Kerala State Council for Child Welfare,Thycaud by class VII A. 5. Visit to Divine Mercy Old age Home, Plavoor, Kollamkonam, by class VII B. 6. Visit to Sree Karunya Mission Presidential School for Mentally Challenged children, Neyyatinkara by class VIII A. 7. Flash mob conducted at Kattakada and visit to Vellanad Block Panchayath Old age home by class VIII B. 8. Visit to Karunya Old Age Home, Amaravila. 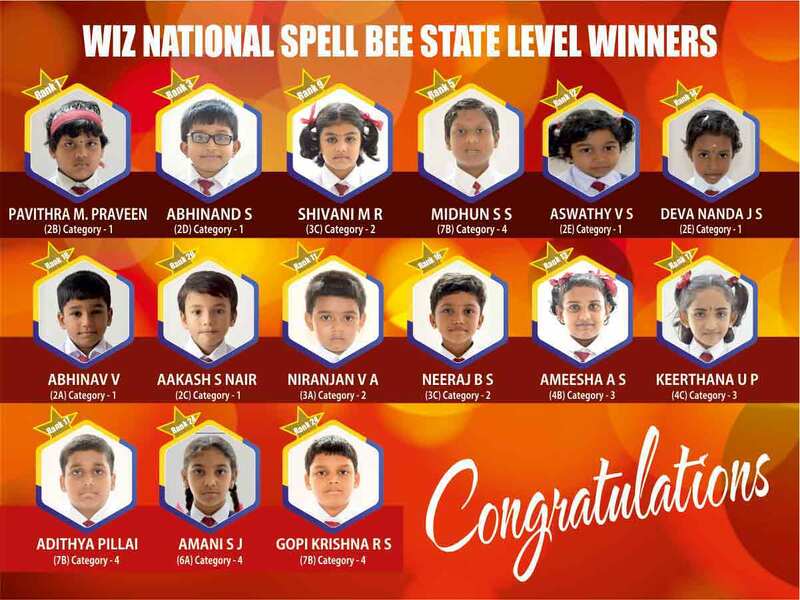 Apart from the regular exams, students were given an opportunity to appear for the Wiz National Spell Bee competition. 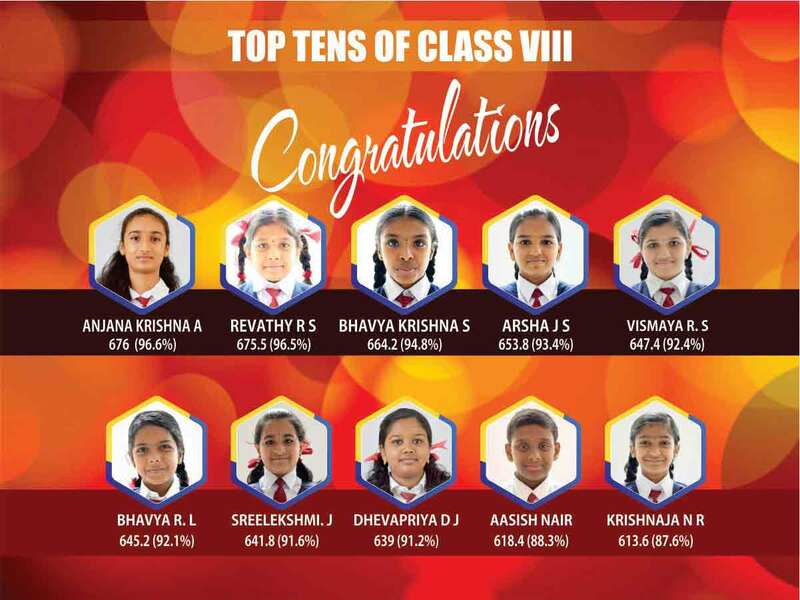 Pavithra M Praveen of Class II B clinched the first rank in the State level competition for category-1. Fifteen students won medals, cash awards and certificates. 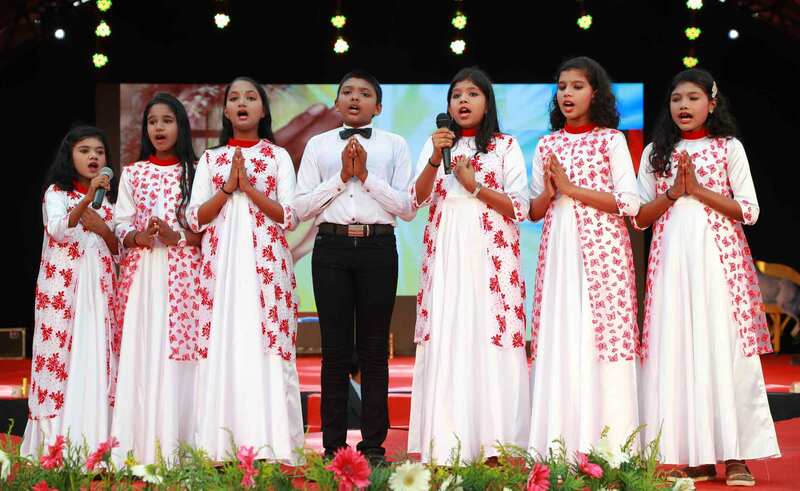 Four of our students got selection for the National level competition held in Kolkata. Abhinand of class II D and Pavithra M Praveen of class II B secured 33rd and 41st rank respectively. 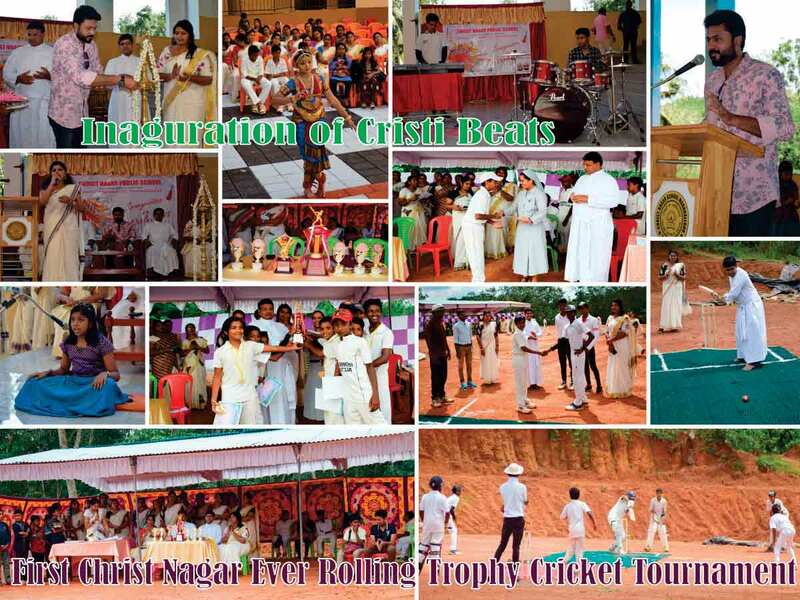 Cine Artist, Mr Anand Narayan inaugurated Christi Beats on 19 October. Classes for Football, Cricket, Karate, Swimming, Violin, Drums, Keyboard, Music and Dance are being conducted twice a week [Wednesdays and Saturdays] after school hours. We are planning to conduct special classes during the summer vacation on the above mentioned items .Classes are handled by experts from the respective fields and the students get an opportunity to develop their innate talents. 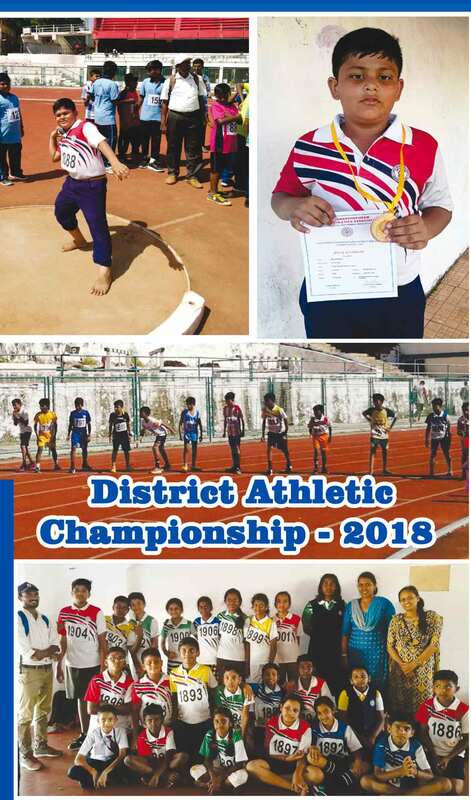 The students participated in the 62nd Thiruvananthapuram District Athletic Championship held at Chandra Sekharan Nair Stadium. Mahdhi Imam of Class VC won the first prize in Shot put. Certificates were awarded to the participants. 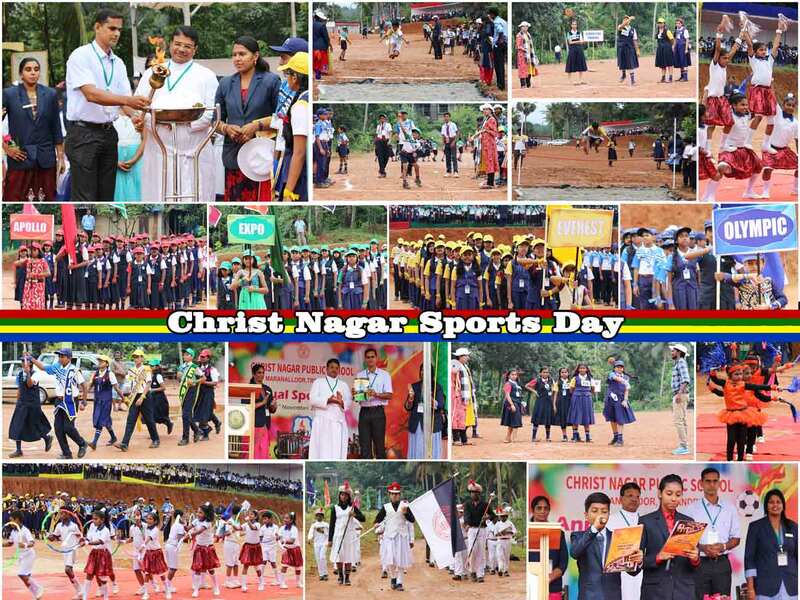 Christies put on a spectacular display of skill and brilliance on November 3 during the Annual athletic meet 2018-19. The Principal Rev. Fr. Joshy Mayamparampil CMI hoisted the flag. The Chief Guest, international athlete Mr P.J Vinod lighted the torch and released the sports magazine “e-sports”. 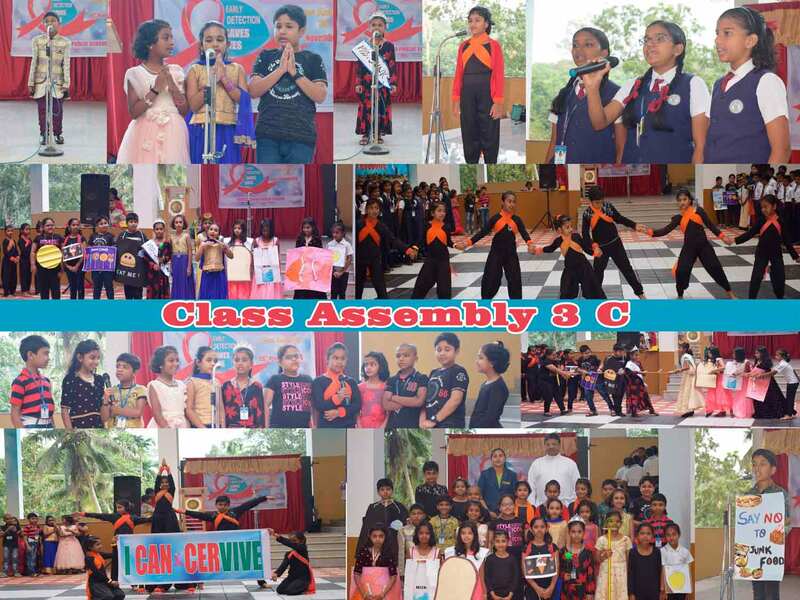 The march past led by the school band, mass P T display and the mesmerizing aerobic display added vigour to the event. We conducted 46 Track events, 10 Throwing events and 16 Jumping events on that day. Winners were awarded with medals and certificates.Sports Quiz was conducted for classes V & VI, VII &VIII to enhance their general knowledge.